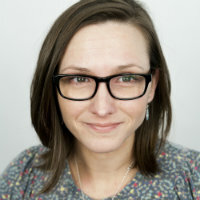 Katherine Smith received her doctorate from the University of Wales in 2009 and went onto a postdoc research fellowship in the Digital World Research Centre at the University of Surrey. Following her research at Surrey, she began lecturing at the University of Manchester in 2010-11. She has carried out ethnographic fieldwork in the North of England - in North Manchester for her doctoral research, and Preston, Lancashire as part of her postdoc research. Her research interests include fairness and equality, social policy, class, Englishness, political correctness and humour. She is author ofFairness, Class and Belonging in Contemporary England (2012, Palgrave Macmillan) and co-editor of Extraordinary Encounters: The Ethnographic Interview and Authenticity ( in press, Berghahn).